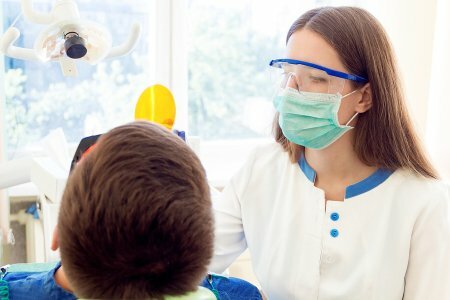 Are Sealants the Solution for Tooth Decay? Although they may look like it to the naked eye, the surfaces of your teeth are generally not smooth. They are usually covered in bumps, grooves, and ridges that can trap plaque and bacteria, causing tooth decay to develop. When you visit your dentist , the teeth cleaning performed during your visit will remove much of the trapped bacteria from the surfaces of your teeth, but this may not be enough to protect your teeth from cavities. In these cases, sealants can help. Could sealants be right for you? Here is what you need to know. Sealants are a plastic material that is painted on the surface of teeth. The material fills the grooves on the surfaces of the teeth so that bacteria cannot get trapped there. Typically, sealants are applied to the molars in the back of your mouth, where brushing and flossing can be particularly difficult. When sealants were first introduced, they were used almost exclusively on the molars and premolars of children and teenagers. Kids are especially prone to cavities between the ages of six and 14, so sealants can reduce the chances of decay during these vulnerable years. However, adults are not considered to be candidate for sealants if they do not have any existing decay on the teeth being treated. In some cases, sealants are also used on baby teeth, if the teeth have deep grooves. Baby teeth reserve the proper tooth placement for adult teeth, so keeping them healthy is important, even if they will eventually be lost. Typically, sealants last for about 10 years. However, during every dental exam, the dentist will examine the sealants to look for chips or wearing. Your dentist can replace sealants as needed to ensure ongoing protection. To find out if sealants are right for you or your kids, make an appointment at Glenwood Premier Dental. We offer comprehensive care for the whole family, from implant dentistry to teeth whitening. Schedule your appointment today by dialing (732) 264-4477.